YEREVAN (RFE/RL)–President Robert Kocharian arrived in Moscow on Wednesday on what his office described as a one-day "private" visit, the second in less than three months. A one-sentence statement issued by the presidential press service gave no details of the trip. Officials there could not be reached for comment. Russian sources told RFE/RL that Kocharian is due to meet Russia’s President Vladimir Putin to discuss the political situation in Armenia in the run-up to parliamentary elections due in May. 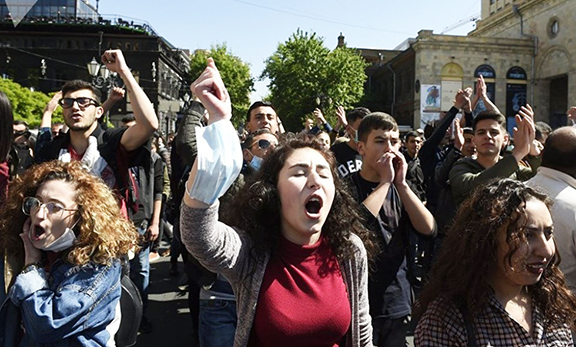 The outcome of the polls will be key to the political future of Kocharian who intends to retain a pivotal role in government after completing his second and final term in office in 2008. Sources said Kocharian and Putin were also going touch upon Russian-Armenian economic ties and, in particular, the Kremlin-run Gazprom monopoly’s growing involvement in Armenia’s energy sector. Their previous talks held in Moscow in late October were followed by the official confirmation of reports that Yerevan will raise Gazprom’s share in Armenia’s natural gas distribution network from 45 percent to 58 percent. The Russian giant is also widely expected to gain a controlling stake in a newly built pipeline from Iran as part of a controversial April agreement that allowed Armenia to temporarily avoid a doubling of the price of imported Russian gas in exchange for ceding more energy assets to Moscow.